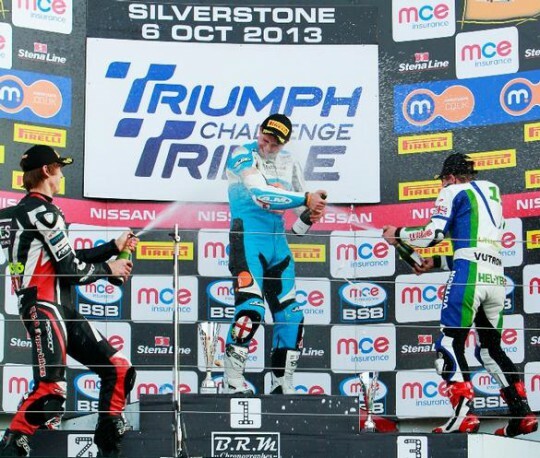 Stratstone Triumph’s Chrissy Rouse triumphantly took the race win and the Triumph Triple Challenge title this afternoon at Silverstone. The teenager battled his way through the rest of the pack to take away maximum points and was crowned champion in emphatic style. Rouse comfortable dominated the series and notched up a total of ten race wins over the season, in only his second year in the Triple Challenge. Now the Geordie lad is already planning what to do next season, and already has a few options up his sleeve. “To win a BSB series championship is absolutely fantastic! It has been a great season and this is my tenth race win and apart from a few minor mishaps we have been on the podium and top step for most of the year and to end with such a great win, is really good, and I want to say thank you to all of my fans and my sponsors too,” said Rouse, speaking to bikesportnews.com at the track. 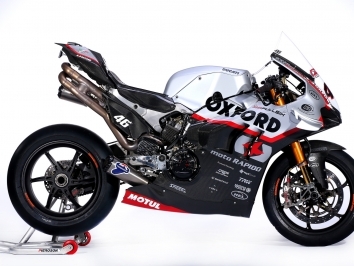 “I was in the Triumph series last year, and the familiarity with the tracks really helped, even though I had a new bike everything went really well. I just stayed focused and trained hard and all season I have been thinking about the championship, and it has paid off. I have a great team around me, and everything has fitted into place.